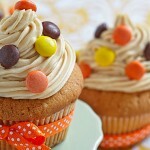 Your kids will love to try piping the frosting on top of these peanut butter cupcakes. And to add a little magic, let them decorate them with colored chocolate candies! Yum. 1. Preheat oven to 180 C. Line a muffin pan with paper cups. 2. In a large bowl, combine the dry ingredients (sugar, flour, salt, baking soda, baking powder). 3. 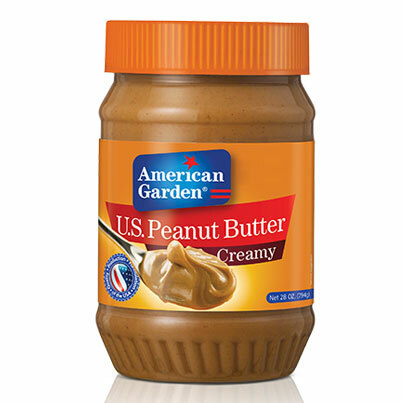 In another bowl, cream the butter, peanut butter and brown sugar until light and fluffy. 4. And the egg and vanilla extract and beat again. 5. Add the dry ingredients to the mixture alternately with milk. Beat well after each addition. 6. Fill the muffin cups 2/3 full with the batter. 7. Bake for 18 minutes or until a toothpick inserted near the center comes out clean. 8. Leave to cool for 10 minutes then remove from pans to wire racks to cool completely. 9. To prepare the frosting, cream peanut butter and sugar until light and fluffy. 10. Add enough milk to achieve a spreading consistency. 11. Frost your cupcakes and decorate with colored chocolate candies.